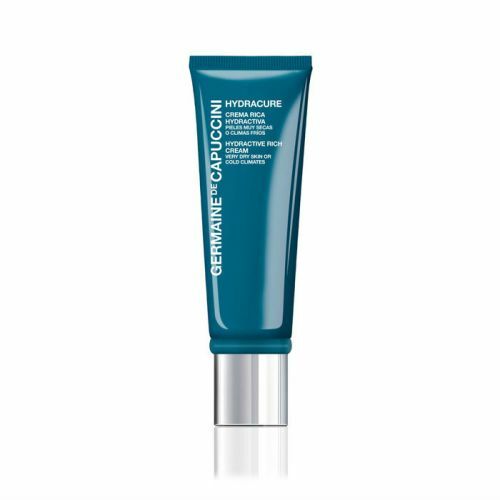 A silky soft product suited for normal to dry skin types, the Germaine de Capuccini Hydracure Hydractive Cream Normal to Dry Skin aims to help reverse the effects of dehydration. Using a blend of various Hyaluronic Acid strengths, it restores hydration while strengthening your skin's natural defences and leaving skin delightfully supple and firm. The addition of Thermal Water sourced in Japan has been enriched with nutrients that relieve the skin from everyday stresses as soon as they're absorbed into the skin. 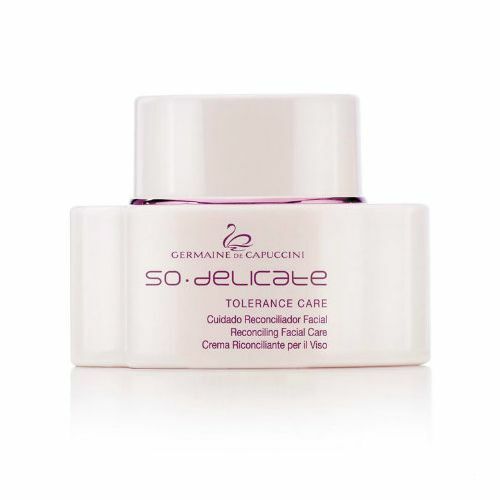 Simply introduce into your routine after cleansing and toning and across the face, neck and décolletage to experience smooth and youthful feeling skin every single day. Aqua (Water), Isohexadecane, Decyl Cocoate, Pentylene Glycol, Glycerin, Isopropyl Palmitate, Hydrogenated Polydecene, Behenyl Alcohol, Polyglyceryl-10 Pentastearate, Triethylhexanoin, Hydrolyzed Hyaluronic Acid, Alteromonas Ferment Filtrate, Ceramide 3, Sodium Hyaluronate, Nylon 6/12, Sodium Stearoyl Lactylate, Hydrogenated Palm Kernel Glycerides, Hydrogenated Palm Glycerides, Cetyl Alcohol, Butylene Glycol, Squalane, Hydrogenated Lecithin, Olive Glycerides, Sodium Polyacrylate, Hydroxypropyl Methylcellulose Stearoxy Ether, Sodium Methyl Stearoyl Taurate, Disodium EDTA, Triethanolamine, 1,2-Hexanediol, Caprylyl Glycol, Caprylhydroxamic Acid, o-Cymen-5-ol, Phenoxyethanol, Parfum (Fragrance), Hexyl Cinnamal, Benzyl Salicylate, Geraniol, Citronellol, Cinnamyl Alcohol, Linalool, Eugenol. 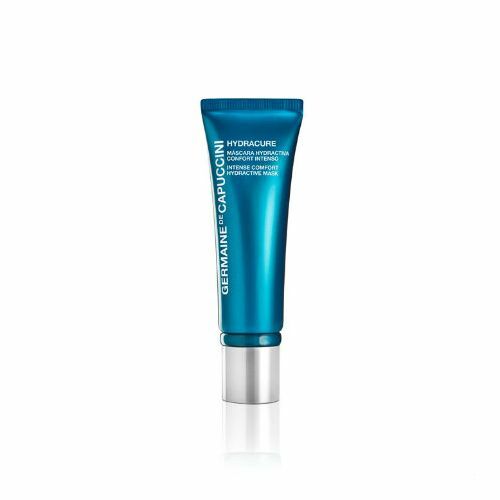 Massage Germaine de Capuccini Hydracure Hydractive Cream onto clean, dry skin twice daily. Use twice daily to maintain perfect hydration.